Monitor weather conditions and have a plan before weather becomes worse. Go indoors. 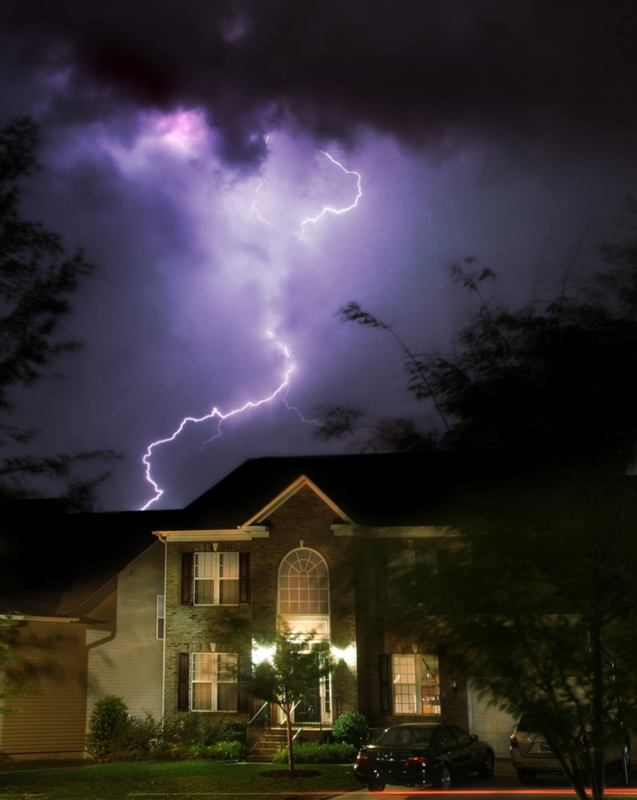 Remember the phrase, “When thunders roars, go indoors.” Find a safe enclosed shelter (home, office, shopping center or hard-top vehicle) when you hear thunder. Stay away from windows, doors, concrete walls or flooring, and open structures such as porches, convertibles, golf carts, ect. Crouch close to the ground with your hands over your ears and your head between your knees if you are caught in open land. ALWAYS remember to call 9-1-1 and get medical care immediately if you or anyone else is stuck by lightning. Avoid contact with corded phones. Avoid contact with electrical equipment or cords. If you plan to unplug any electronic equipment, do so well before the storm arrives. Avoid contact with plumbing. Do not wash your hands, do not take a shower, do not wash dishes, and do not do laundry.